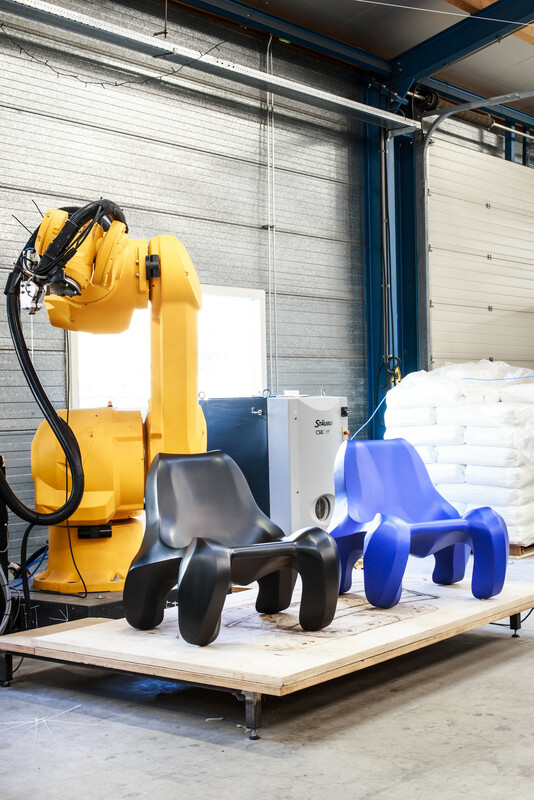 Sharing it’s origine with the design shape of the SEARCHING CLUB 2 [blue handmade version] this 3D robot printed SEARCHING CLUB 2.0.1 special edition will be realised under Dutch Chairmen label. A family of nine unique variations of the digital (scanned) file will be produced and offered to the market, indicated by “edition of 9, N=1”. This first black edition has a rough PPglas 3D printed body, which is hand-plastered, and matte spay paint lacquered in four layers. The CAD design will evolve within the outline design of this model, designed by Max Jungblut. Starting with a well-thought-out, sophisticated design, which evidently shows traces of earlier pieces from the various collections of Jungblut, the design features are meticulously marked and copied for a new piece. 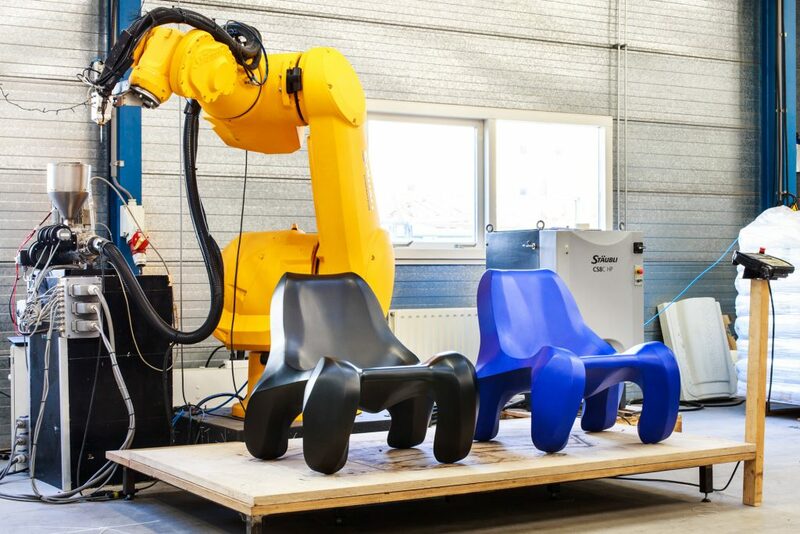 However, the artist introduces subtle changes in each successive chair in an ongoing quest to arrive at the perfect prototype, without actually having this as a final goal. 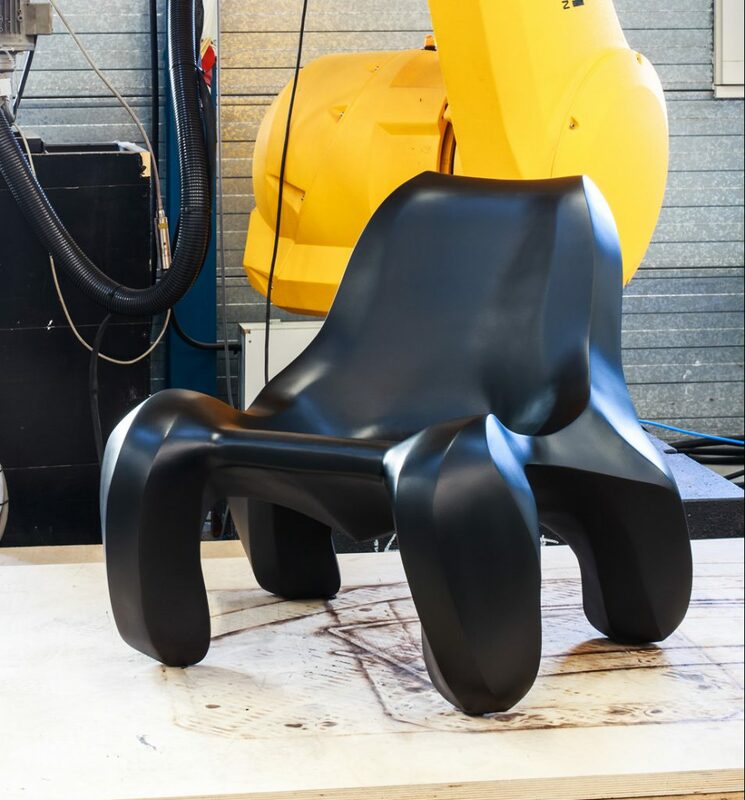 The resulting alterations of the original design are at times quirky and playful, moving feet, back or seat in unexpected directions, and at other times more abstract and conceptual, questioning the practical function or aesthetic appeal of a chair. Through this artistic approach, the Jungblut references both craftsmen methods and artisan crafts, while simultaneously referring to notions of the assembly line, Fordism and mass production.